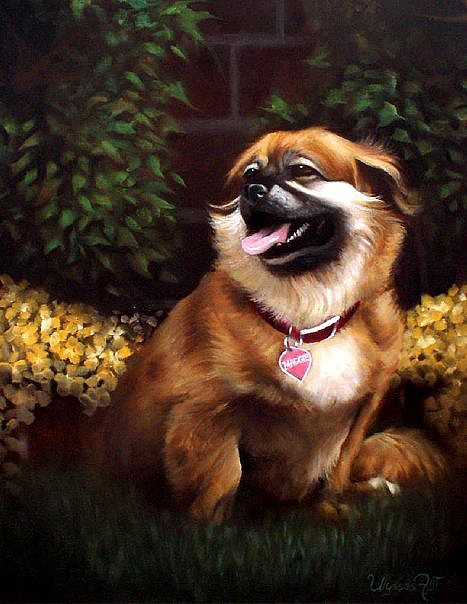 Maggie is a painting by Ulysses Albert III which was uploaded on January 14th, 2010. A portrait of a woman's dog. If you can imagine, it was hard to capture a picture of her as she was very rambunctious, and protective of her owner. There are no comments for Maggie. Click here to post the first comment.